Dead Venture has been available for Android and iOS devices for a couple weeks now, and it’s an off-road action driver game, where you help survivors of a zombie apocalypse and battle zombie hordes. 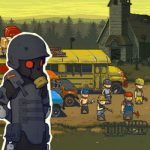 In this new mobile title by DogByte Games, you’ll be placed in a situation where the human race has nearly been wiped out by the zombies, who now roam the streets as a few survivors try to find safety in a military base on a far island. 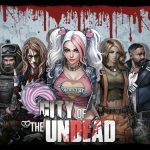 There are eight chapters for you to play here, as you drive your car, smash zombies, including their undead bosses, and earn cash in the process. The cash you earn can then be used to upgrade your car and guns, and you can also help out survivors in a number of tasks. 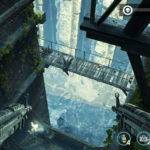 The game also suggests that you can play it by replaying story mode and trying to complete it in fewer days than you did the last time around. It may not sound easy to save mankind from hordes of undead, especially when you have to drive a vehicle while at it. But we can make it easier for you with this list of Dead Venture tips, tricks and cheats. We’ve helped gamers survive quite a few in-game zombie apocalypses, and this one shall be the latest. At the end of the day, that’s the main thing you will need to do in this game. Most of the challenges would require you to kill zombies in one way or another, but you’ll still want to waste them even in those challenges where it isn’t necessary to do so. Killing zombies, after all, can earn you coins and can allow you to collect several items. So if your vehicle chances upon an angry horde, go run it over and reap the rewards. Keep on killing as many zombies as possible, even if you’re done with all your objectives, because it only means more rewards and more money; every kill you make means something in the grand scheme of things! And while you’re at it, make sure you go for the boxes as well, as they play a key part in several challenges. Boxes also contain some useful items inside, so run them over and collect the contents even if you don’t have to. There is no such thing in this game as a zombie you shouldn’t kill or a box you shouldn’t collect. 2. Should You Buy A New Vehicle Or Upgrade Your Current One? Unlike most other driving games, you won’t have a chance to buy a new vehicle for yourself. Instead, you’ll have to unlock the new vehicles by playing through story mode. That leaves you no choice but to stick to whatever ride you currently have, and keep on upgrading it while waiting for something new to get unlocked. The result will be the same or similar anyway – it’s going to be easier for you to kill zombies once you’ve got a better ride, may it be an upgraded one or a brand-new one. Some levels will come with objects that perform certain actions once you tap on them. Feel free to experiment and to keep on tapping on the things you see, as they may do you some good depending on what the object is. There may be objects that lure hordes of zombies to their imminent death, or objects that explode. Sometimes the objects could do both of those things. 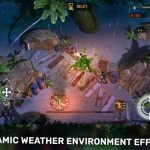 The bottom line is that the objects you tap may be the key to getting rid of more zombies in a more effective and efficient way, so tap, tap, tap even if it doesn’t seem to make any sense to do so. You want to be constantly in motion in Dead Venture, which should allow you to evade zombies easier. Take note that the zombies in this game, especially the boss characters, can be a pain to deal with; bosses, in particular, can destroy you with just a few hits. You may want to try strafing to kill the lesser zombies while preserving your health for the most part, and to take advantage of that ammo crates that often surround zombies. Like any good zombie game should, Dead Venture has various types of undead, each with their own strengths and weaknesses. Take note of these characteristics and use your knowledge to determine which zombies should be taken out before the others. Typically, you want to prioritize the ranged zombies before those that perform conventional melee attacks. Next up, you should go for the bigger, beefier ones, as well as the chargers, who, as their name implies, can charge at you with impressive speed and strength. There’s more than one way to skin the proverbial cat in this game. For example, the game will allow you to drive through water and destroy fences by driving through them. You can even use your vehicle to knock down trees and get past them. Going through a shortcut can help you save on gas, though you should expect some damage inflicted on your vehicle if you’re making your way to a boss encounter. Tired of seeing your vehicle turn into a piece of junk? Had it with all those times when your vehicle runs out of gas, thus ending your run for the meantime and preventing you from accomplishing key objectives? The solution to this problem is to replay levels you’ve’ already completed. Grind it out for coins and for fuel, and use those replays as well to bolster your defenses. Once you’ve farmed enough coins, fueled up completely, and improved your vehicle’s defense, you can then return to the objectives you had failed at first, and have a much better chance of accomplishing them. This wraps up our guide for DogByte Games’ latest mobile title, Dead Venture. Do you know other hints for the game that we should include in this guide? Let us know in the comment section below!